Welcoming over 50,000 visitors and with over 600 boats on display in 2016, the Cannes Yachting Festival is Europe’s largest in-water boat show. The show caters for each boating enthusiast, with new models on display, sailing boats, multihulls and over 500 exhibitors from all sectors of the yachting industry. Establishing itself on the superyacht scene in 1977, the show is currently entering its 40th year, a landmark anniversary which no doubt makes the event even more spectacular than those in earlier years. 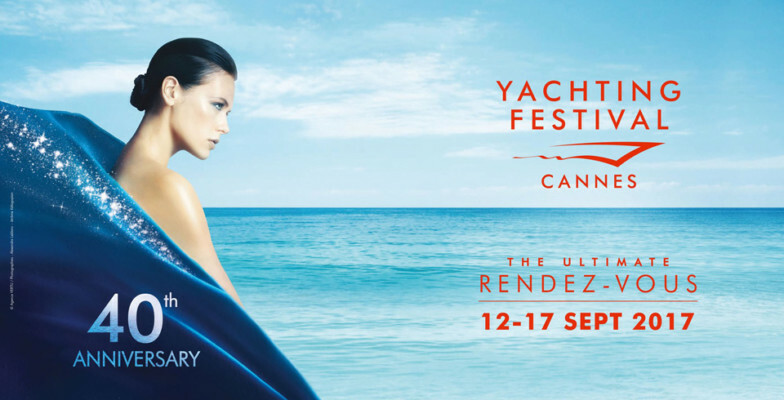 To mark such an occasion, the organisers of the Cannes Yachting Festival will be unveiling the ‘Luxury Gallery’, an exhibition in the Palais de Festivals which will host a variety of premium brands related to the superyacht lifestyle. As well as premiering new superyachts and opening doors to informative seminars, the festival has developed a reputation for lining both Le Vieux Port and The Port Pierre Canto with an amazing array of luxury brands. This year’s official partners will include Maserati, Fred, Louis Roederer and Azur Helicopteres. Offering the ideal opportunity for prospective buyers to undertake sea trials around the French Riviera, the festival also boasts a number of dedicated spaces for shipyards and other industry players. Cannes, the iconic setting for the equally glamorous Cannes Film Festival, is the perfect environment for such an outstanding showcase of superyachts. PMYA Asia’s Managing Director Robert Hawkins will be in attendance at Cannes Yachting Festival and ready to offer his professional independent advice on all aspects of boating in Southeast Asia, specialising in motor yacht training, relocation and management. Feel free to speak to Robert – contact him by WhatsApp/phone +66 88 44 680 14 or +44 7934 850 891.